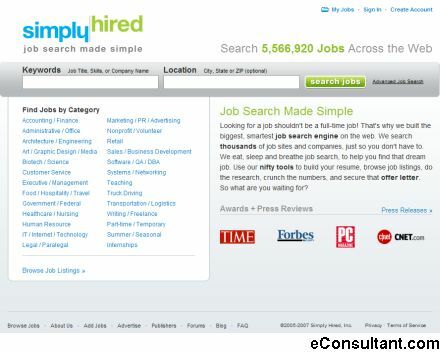 Description : Simply Hired is a vertical search engine. Simply Hired building the largest online database of jobs on the planet. Their goal is to make finding your next job a simple yet effective, enjoyable journey.